This two day course focuses on the practical and theoretical aspects of PAT Testing to ensure that learners fully grasp the subject matter. We include mock exams to maximise the chances of passing the main exam and gaining a recognised qualification. Upon successful completion of the course delegates will be able to perform PAT testing safely and in line with the Electricity at Work Regulations. After a mock exam there is an individual practical assessment and an online 50 question exam lasting one hour. Everyone who attends this course will receive a certificate of attendance from PASS. Candidates who successfuly complete the individual assessment and the exam will be awarded a City and Guilds In-service Inspection and Testing of Electrical Equipment – 2377-22 certificate. This course is held over two consecutive days. Starting at 9am and finishing at 5pm each day you will study for a total of 14 hours (one hour for lunch each day). The 2377-22 two day course is suitable for anyone who would like to take up PAT testing as a career. You will not need to be an electrician or have an electrical background, but it would be an advantage. An understanding of Ohm’s law would put you at an advantage. Basic maths skills will be required on this course. You will need to bring a current copy of the IEE Code of Practice for In-service Inspection and Testing. If you contact us in advance we will be able to sell you the latest version. In just 2 days, learn how to PAT test with our experienced tutors! This course aims to provide you with a recognised qualification aimed at getting you employment within the electrical industry as a PAT tester. 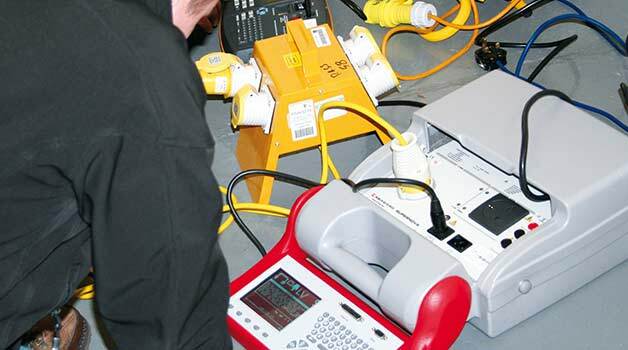 This course is run in our purpose built training center in Stockton on Tees, near Middlesbrough and is easily accessible to anyone in the North East who wishes to learn about PAT Testing. For more information or assistance about this course please contact us on 01642 987 978 and we will be happy to help.